There may be good grounds for the U.S. to feel that it has been let down by Pakistan in the past. Pakistan’s ambivalent approach to the Afghan Taliban and continuing hidden links to former Afghan Mujahideen commanders, such as Jalaluddin Haqqani and his son Siraj, came to be at odds with its partnership with the U.S. against militants in the border region. Coming clean on that score may not have satisfied the U.S. Hence the Bush signature on unilateral attacks even perhaps as he entertained the new Pakistani prime minister in Washington this July. Suddenly the old policy of “a wink and a nod” that worked for President Pervez Musharraf and that appeared to be continuing under the new democratically elected Peoples’ Party government seems to have been set aside. Kayani’s tough statement appears to have widespread public support in Pakistan. The Prime Minister echoed his words. But President Asif Ali Zardari uncharacteristically has been silent. If this portends fissures in the ruling hierarchy then the signs are not good for the balance of power inside Pakistan. Other dangerous possibilities appear likely in the U.S.-Pakistan relationship. The next time the U.S. physically invades Pakistani territory to take out suspected militants, it may meet the Pakistan army head on. Or it may face a complete a cut-off of war supplies and fuel in Afghanistan via Pakistan. With only two weeks supply of fuel available to its forces inside Afghanistan and no alternative route currently available, the war in Afghanistan may come to a screeching halt. The Bush approach may prove to be yet another example of short-term thinking that damages the longer term objective. The Taliban meanwhile will be applauding from the sidelines. A major consequence of the U.S. invasion of Pakistan’s territory will be the further alienation of the Pakistani public and a serious internal problem for the fledgling civil government that took over from Musharraf’s autocracy. The U.S. may think it has considerable leverage over the Pakistani government because of the latter’s economic ills and financial straits and its overwhelming reliance on U.S. aid. But it is failing to measure the power of the Pakistani street. Already, a vast majority of people in Pakistan, including inside the army, see the United States with hostile eyes. Anyone in Pakistan seen as aligning with the Americans would lose public favor. And the nationalists and religious extremists will then get a chance to say “we told you so!” and gain the upper hand. All this is happening as the lame duck Bush presidency is getting ready to pack its bags. But the campaign to succeed Bush is heating up. Cross border U.S. attacks inside Pakistan will distract from the war on terror in the region. They will also divert the campaigns of Senators John McCain and Barack Obama from finding solutions to hurling new rhetorical bombs at each other to prove that each is tougher in the use of military force than the other. Both Pakistan and the United States need to rethink their actions. Pakistan must prove with actions not just words that it is willing to shed its ties to all militants. The United States must ratchet down the rhetoric and the use of force, especially against an “ally” in this war on terror, a war that will last well into the next president’s term and may be beyond. And it must fully equip the Pakistan army to fight a mobile counter insurgency in its borderlands. Otherwise, the U.S. will not only lose an ally in Pakistan but ignite a conflagration inside that huge and nuclear-armed country that will make the war in Afghanistan seem like a Sunday hike in the Hindu Kush. 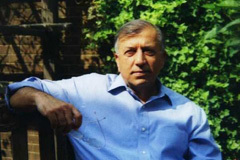 Shuja Nawaz is the author of Crossed Swords: Pakistan, its Army, and the Wars Within (Oxford University Press 2008). Within a matter of days, events on the Afghan border seem to be creating a perfect storm of mistrust and conflict between the United States and Pakistan: The recent US heliborne attack with troops inside Pakistan’s tribal area; the report that President George W. Bush had signed off on such attacks in July, allowing US forces to conduct these raids without clearance from Pakistan; the short-term shutting down of the US supply route to Afghanistan by Pakistan, ostensibly for “security reasons”; and finally an unequivocal riposte from Pakistan’s army chief General Ashfaq Pervez Kayani that “There is no question of any agreement or understanding with the coalition forces whereby they are allowed to conduct operations on our side of the border.” Unless good sense prevails, the US-Pakistan alliance may be heading for the rocks in a storm that could rent the tenuous alliance between these two “allies”. There may be good grounds for the US to feel that it has been let down by Pakistan in the past. Pakistan’s ambivalent approach to the Afghan Taliban and continuing hidden links to former Afghan Mujahideen commanders, such as Jalaluddin Haqqani and his son Siraj, came to be at odds with its partnership with the US against militants in the border region. Coming clean on that score may not have satisfied the US. Hence the Bush signature on unilateral attacks even perhaps as he entertained the new Pakistani prime minister in Washington this July. Other dangerous possibilities appear likely in the US-Pakistan relationship. The next time the US physically invades Pakistani territory to take out suspected militants, it may meet the Pakistan army head on. Or it may face a complete a cut-off of war supplies and fuel in Afghanistan via Pakistan. With only two weeks supply of fuel available to its forces inside Afghanistan and no alternative route currently available, the war in Afghanistan may come to a screeching halt. The Bush approach may prove to be yet another example of short-term thinking that damages the longer term objective. The Taliban meanwhile will be applauding from the sidelines. A major consequence of the US invasion of Pakistan’s territory will be the further alienation of the Pakistani public and a serious internal problem for the fledgling civil government that took over from Musharraf’s autocracy. The US may think it has considerable leverage over the Pakistani government because of the latter’s economic ills and financial straits and its overwhelming reliance on US aid. But it is failing to measure the power of the Pakistani street. Already, a vast majority of people in Pakistan, including inside the army, see the United States with hostile eyes. Anyone in Pakistan seen as aligning with the Americans would lose public favor. And the nationalists and religious extremists will then get a chance to say “we told you so!” and gain the upper hand. All this is happening as the lame duck Bush presidency is getting ready to pack its bags. But the campaign to succeed Bush is heating up. Cross border US attacks inside Pakistan will distract from the war on terror in the region. They will also divert the campaigns of Senators John McCain and Barack Obama from finding solutions to hurling new rhetorical bombs at each other to prove that each is tougher in the use of military force than the other. Both Pakistan and the United States need to rethink their actions. Pakistan must prove with actions not just words that it is willing to shed its ties to all militants. The United States must ratchet down the rhetoric and the use of force, especially against an “ally” in this war on terror, a war that will last well into the next president’s term and may be beyond. And it must fully equip the Pakistan army to fight a mobile counter insurgency in its borderlands. Otherwise, the US will not only lose an ally in Pakistan but ignite a conflagration inside that huge and nuclear-armed country that will make the war in Afghanistan seem like a Sunday hike in the Hindu Kush. Author’s Note: This article has also appeared on The Huffington Post. I have been traveling in Pakistan, specifically in the border region, and doing more detailed analyses of the situation in the Federally Administered Tribal Area. Please wait for more articles in due course.